I’m very pleased to announce (and with great relief) that my new Photoshop Book “Essential Photoshop: How to use 9 essential tools and techniques to transform your photography” is now live on Amazon (here is the link to it Amazon.com for US readers). The book is designed to support beginners and those who are not confident users of Photoshop, progress to an Intermediate level as quickly as possible. This book is a little longer than my usual guides at approximately 200 pages and presents a comprehensive, but easy to understand system for editing photography. It’s extensively illustrated, with numerous worked examples, all of which are supported by a download file from my website (www.lenscraft.co.uk). The download contains all the images for the worked examples, in Photoshop PSD format, with the layers still in place. This allows readers to see the actual edits that were made to the images, in order to produce the screenshots for the book. The approach outlined in the book can be applied to all versions of Photoshop back to version 6 (or possibly earlier) which was released in the year 2000. It doesn’t however apply to Elements; that’s a future book. The book is available in Kindle format for just $3.99 (£2.69). Don’t worry if you don’t have a Kindle device as you can download a free Kindle reader application for your PC, Mac, iPad, iPhone or Android device by following this link. For anyone who is a registered member of my Lenscraft website you will shortly (depending when you are reading this) receive an email detailing how for a limited time, you can download the book for free. If you aren’t already registered, you can still register and receive similar notifications as I launch future books. In my last post I was vigorously outlining the benefits of the RX100 and especially the Low Light Hand Held mode. I also presented one of the images I had shot on my recent trip to France and which I had converted to Black and White using Nik Silver Efex Pro 2. Well here is a new version of the image that I have just made using a new Black and White converter (new in that I haven’t discussed it before). I know I have introduced colour in there abut I like this muted tone effect. 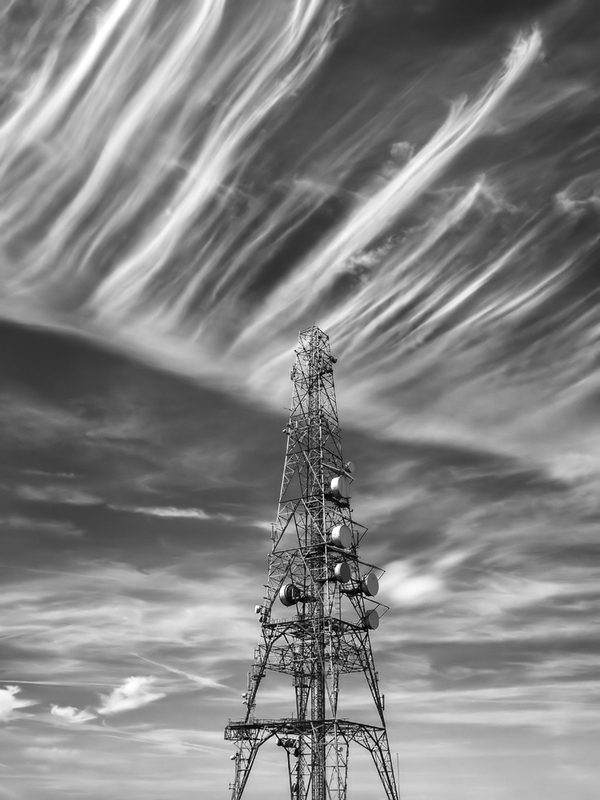 Reprocessed version of my RX100 image discussed in the previous blog post. Click the image to open a larger version. If you are wondering what the converter is that I used, it’s Perfect B&W. I expect to post more about these tools in the future. The Olympus OMD has either has no Anti Alias filter or a very weak one (I suspect it’s the latter). As a result the images are incredibly sharp in comparison with my Panasonic GX1. The Olympus 9-18mm lens is also incredibly sharp, or at least my particular lens is. It appears to be sharper and better at resolving detail than my Panasonic 14-45mm when also used at 18mm. The OMD isn’t noise free. I have seen lots of claims that it is but don’t believe them. Even at ISO200 (its base ISO) there is noise but it appears to be mainly luminance noise and very high frequency. This means the noise is hard to distinguish and it looks pretty much like extremely fine film grain. You don’t actually notice the noise in the images until you use something like Nik Silver Efex Pro 2 and its structure slider. When pushed hard this seems to highlight the noise. To be fair to the Olympus it is much better than any of the other cameras I have used, even the 5D. The 5D suffered (perhaps suffered is too strong a term) from Low Frequency noise that could be accentuated by darkening the blue channel during B&W conversion. I prefer the Olympus. If you are converting your image to B&W pass it through noise reduction software first, even if your think there isn’t noise present. You can achieve great quality with no noticeable noise by doing this. The resulting image will then withstand any enlargement much better. Nik Sharpener Pro is a super sharpening solution (my favourite had always been Focal Blade). Using the control point tool I was able to target the sharpening on the mast but leave the sky untouched. Trying to do this conventionally using layers and masks would have been very time consuming. Using Nik Sharpener Pro I was able to target different areas of the sky to avoid sharpening it. I could then also adjust the Local Contrast and Structure sliders to produce a more natural look to the sky. When I printed this image on an Epson 3880 I set the print driver to use Epson ABW mode. Within this I was able to set the level of “darkness” for the final print. This offers the levels “Dark, Darker and darkest”. In the past I have followed the advice to set the driver to “Darker” but this time I set it to “Dark” and the results are better. If you are using an Epson printer with ABW mode it may be worth experimenting with this. If you use another printer make try experimenting with the driver. Hope you like the image. I am very pleased to announce that I have just launched my latest book. 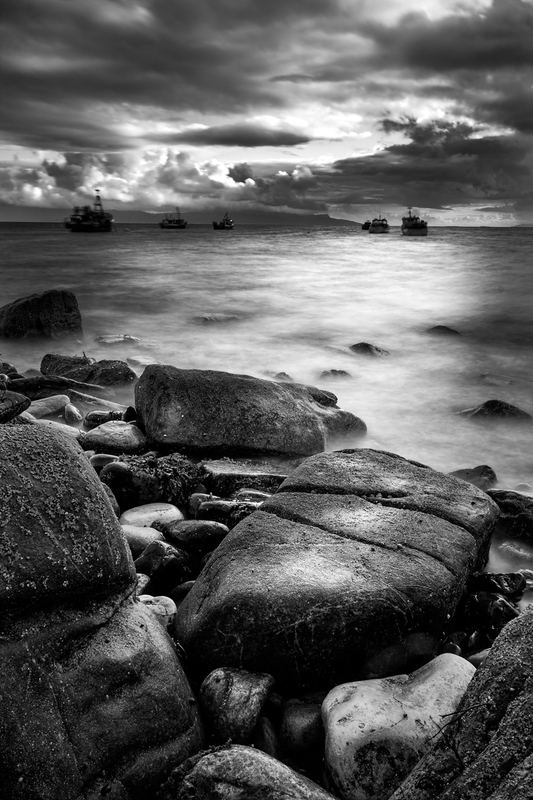 It’s called how to create “Dramatic Black & White Photography using Nik Silver Efex Pro 2“. It’s priced at just $3.99 or £2.68 and is available from Amazon as a Kindle eBook. Don’t worry if you don’t have a Kindle as Amazon provide free Kindle reader software for the PC, Mac, iPad, iPhone and Android platforms. If you are not familiar with the Silver Efex Pro software, I have to tell you it’s one of the best Black and White conversion tools on the market today. I won’t say the best as that’s a personal opinion. What I can tell you is that it’s an extremely popular plug-in for editing packages such as Photoshop, Lightroom and Elements, and for very good reasons. It’s a favourite of many professional photographers and will when used correctly produce stunning monochrome conversions from colour images. Unfortunately the software was quite expensive, but all that recently changed when Google purchase Nik software and slashed the price of all the packages. My new book covers all aspects of the package including both the interface in detail. I explain how the different sliders and tools work and how these can be applied to achieve improved conversions. As will all my books, this one is supported by worked examples, the files for which can be downloaded from the Members Area of my Lenscraft website. 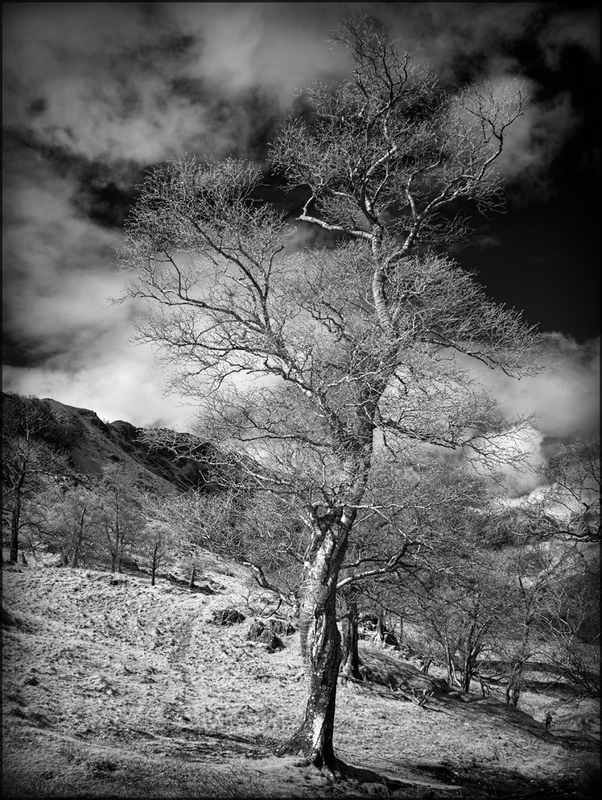 If you use or are thinking of using Nik Silver Efex Pro and want a book to support you, please take a look on Amazon. GX1 infrared converted camera with 14-45mm lens. Conversion to Monochrome in Silver Efex Pro with RAW conversion in PhotoNinja. I have written in the past about two things that I would like to give an update on. 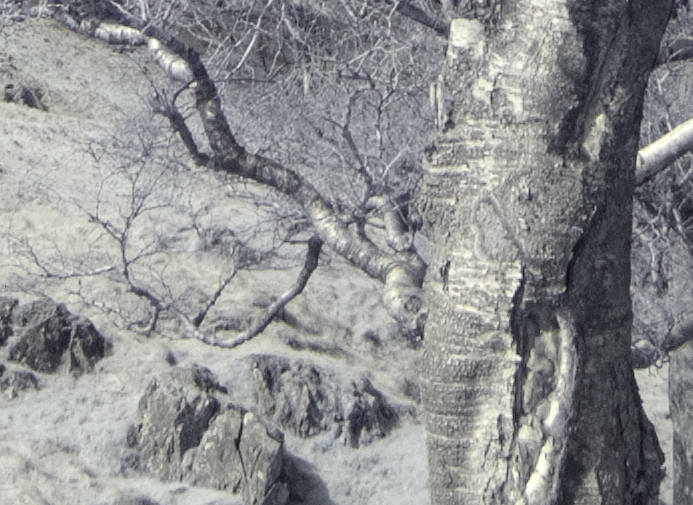 The first is the software I use to perform Infrared RAW file conversion. The other is my impressions of Photo Ninja. As you will see in a moment the two are now linked. When I first ha my Panasonic GX1 camera converted to shoot Infrared I had thought that I would be able to shoot images in RAW format and process them in Lightroom or Photoshop. 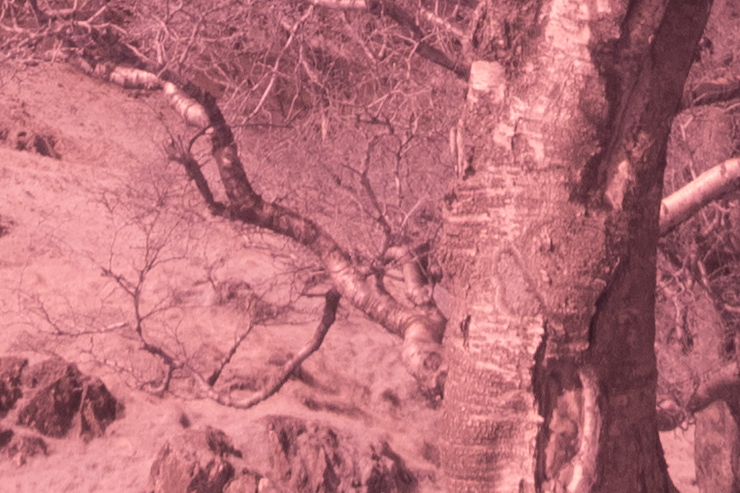 I had read that there was a problem in doing this with Canon and Nikon RAW files as Adobe software rendered the image as shades of red with no other colour present. This prevents you from converting the image using “false colour” (do a search on Google for colour Infrared to see some examples). It also seemed to limit the quality of the image conversions as most of the image data was coming from just the red channel. I wasn’t however worried by this problem as no one was reporting an issue with Panasonic conversions from Infrared RAW files. Unfortunately I can confirm it is a problem and also conclude that there can’t be many people using infrared converted Panasonic M43 cameras. 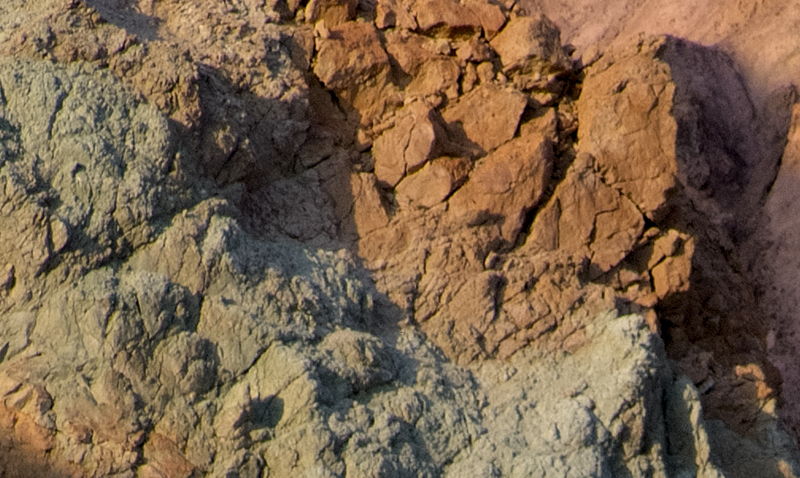 If you want to know what I am talking about, here is an example of the above image in Lightroom 4. My initial solution to this issue was to use the SilkyPix software that ships with Panasonic cameras that shoot RAW. This gave good results in managing image colour and allowed me to set a true white point so that images didn’t appear red. Once I had upgraded this (I took advantage of a very cheap special offer) the image quality was OK if not a little too smooth for my liking. More recently I had some very promising infrared images but felt that none of my RAW converters were doing justice to the levels of detail present. I decided to try out the PhotoNinja software again and the results have convinced me to purchase the full version of the software. Yes it’s expensive but the results are visibly better. 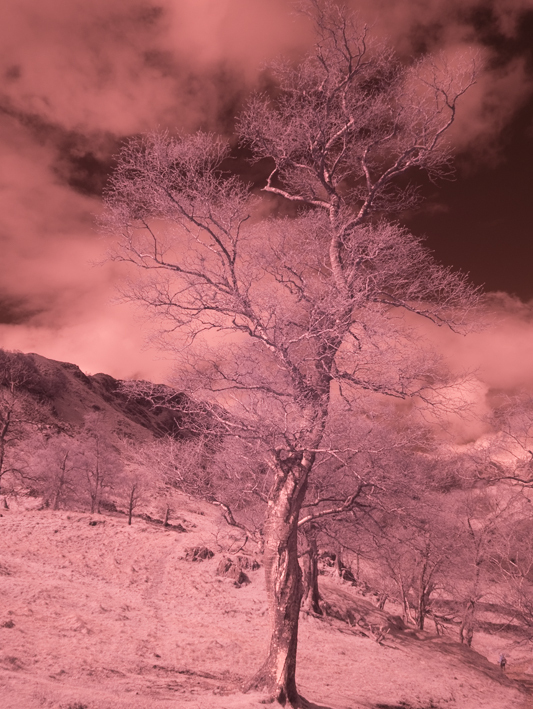 This is not just with Infrared images but colour also. Take a look at the comparisons below. These are conversions from Lightroom, Silky Pix and PhotoNinja, all taken from the same RAW file. I should caveat this a little in that I know exactly what I am doing with Lightroom but am pretty much a novice in using SilkyPix and PhotoNinja. It’s therefore likely that better results can be achieved with both of these. It’s the same story in colour also with the PhotoNinja conversions producing more detail, especially if you sharpen them further post conversion. PhotoNinja conversion at 100% with some sharpening. Wondering why there is no SilkyPix comparison? Well it kept crashing when trying to open the files. I suspect there is a compatibility problem with Windows 8 but I need to do a little more digging. You might also notice the much better colour rendering from the PhotoNinja software which is far closer to the scene as this image was shot about 20 minutes before sunset in direct light. So, if you are looking for a RAW converter to give the highest level of quality (and don’t mind the price) I would certainly take a look at PhotoNinja. 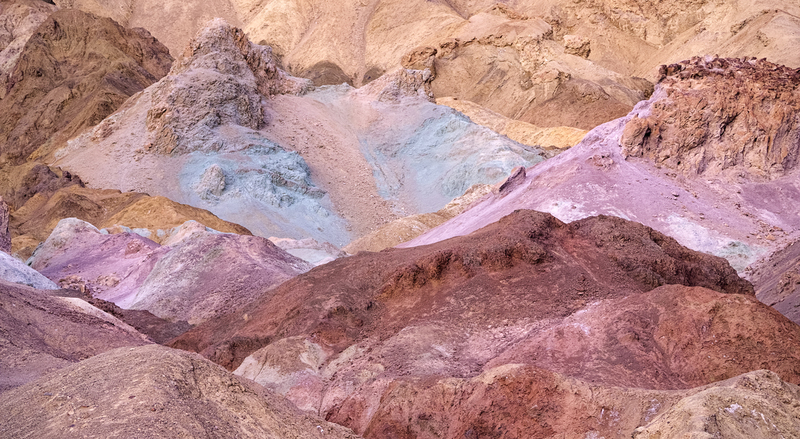 The vivid colours of Artists Palette in Death Valley in the late evening sun. If you want to reproduce colours like these in print you will need to do some soft profile to ensure the image looks right. If you don’t, it’s going to be very hit and miss. 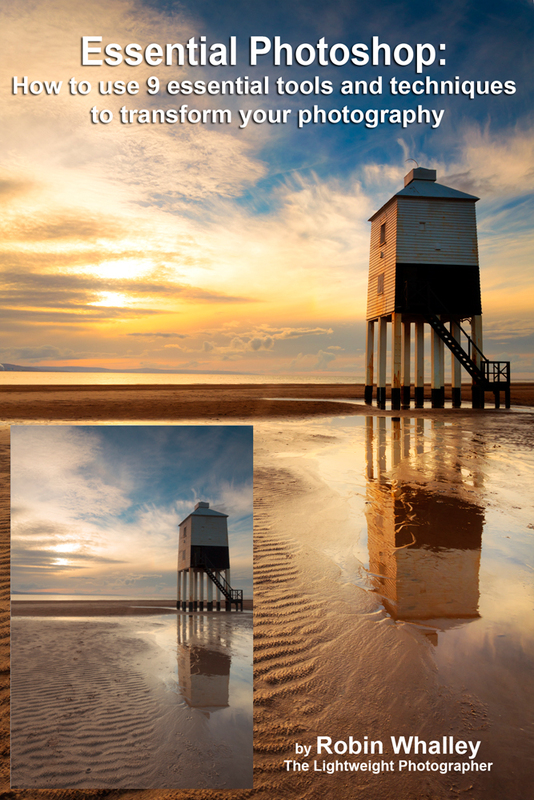 I have just finished and uploaded an article on how to use the Soft Proofing features in Lightroom 4. You can download the article for free from my Lenscraft website by following this link to the Members Area. You will need to log in as a member to gain access but membership is free and you gain access to a lot of other articles and free information. Alternatively you could just wait until the article is publish on ePHOTOzine in the next few weeks. Death Valley panoramic created from 4 Panasonic GX1 images stiched together in Hugin. I am and always have been a fan of panoramic photography. I’m not sure why but the format (usually somewhere between 2:1 and 3:1 ratio) really appeals to me and makes sense as the way I see the world. Unfortunately, to create good panoramic images you need additional equipment beyond just the digital camera and this tends to go against my lightweight ethos. Typically to make a good panoramic I need a tripod, panoramic head and stitching software. Unless you are prepared to spend tens of thousands of pounds (or dollars) on a digital panoramic camera, panoramic images need to be shot as a sequence of overlapping images which are then stitched together in specialist software. I should at this point mention that I am a real stickler for quality so if any aspect of my images is lacking (in my mind) I will not be satisfied with the finished panoramic. This means that I don’t like to handhold my camera when shooting image sequences and always try to mount my camera on a tripod. I would also like to use a panoramic head to avoid problems of parallax error where objects in the various images don’t align correctly, as the stitching software will either distort the images to make them align or leave “ghosting” traces of objects. I do have a panoramic head for my tripod but it’s so heavy and bulky that I seldom take it with me. This combination of problems means that I need to rely on stitching software to do a good job of aligning and merging images. Until now I had been using either Photoshop or Panorama Factory to complete my stitching. Photoshop seems to do a reasonable job but feels a little clunky and doesn’t give me the fine tuning/image optimisation that I want. It also has a habit of distorting images when I don’t want it to and not aligning all the objects along a stitching seam correctly. It’s usually close but not quite good enough. As I have never really felt completely satisfied I tried out and invested in Panorama factory. 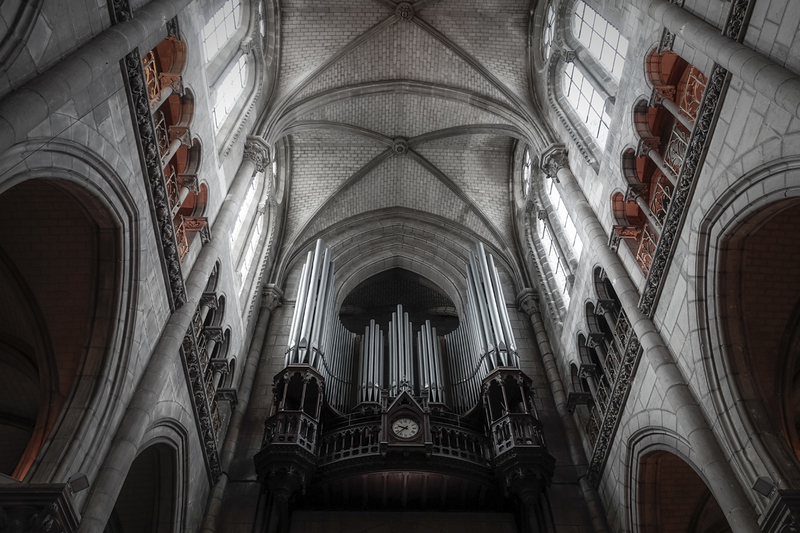 This does a nice job of aligning the elements of the image as well as offering lots of power, but really does need a panoramic head to work properly. 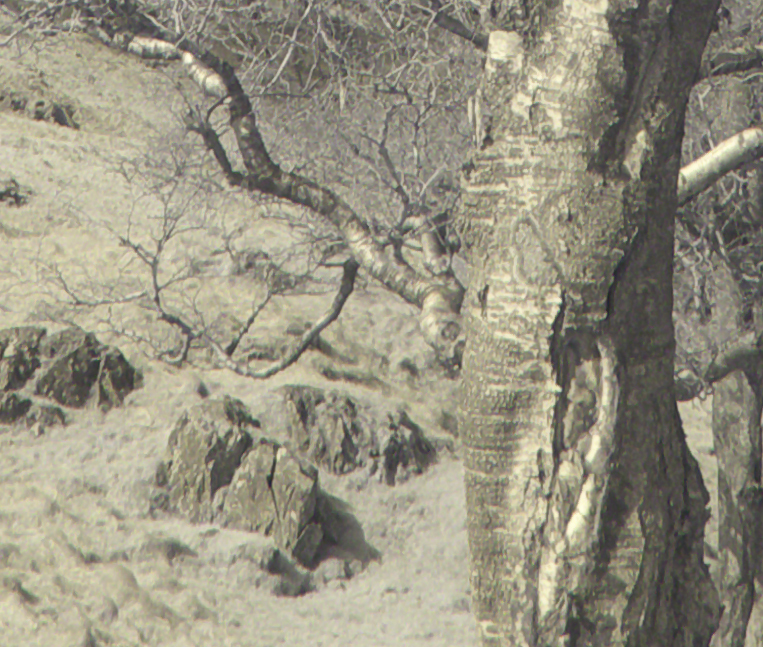 It often leaves some areas which are not quite sharp e.g. where fine details such as grass didn’t align exactly between images. 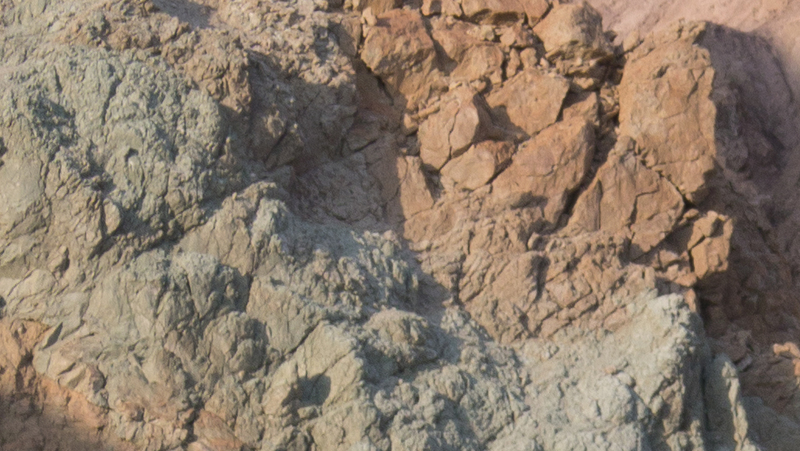 My solution to date has been to output the panoramic image as a layered Photoshop file. This allowed me to fine tune the blending to remove blurred areas by adjusting the masks in the layered file. This is time consuming and quite complex even when you know exactly what you are doing with Photoshop masks. If I am totally honest with myself I shouldn’t have invested in Panorama Factory if I wasn’t prepared to use a panoramic head but I was swayed by the cost. You see, when I did my testing a few years back PTGui was really the best option given how I wanted to shoot but I was put off by the cost. PTGui is only a graphical front end for Panorama Tools (which is a freeware package) and I just wasn’t prepared to pay a hefty license fee for something built around the genius of another’s work. This was the wrong decision and I think I should have purchased PTGui. As I have now decided to make panoramic work a major feature of my photography I have recently downloaded the trial version of PTGui and PTGui Pro once more. I have to admit that I am very happy with the ease of using the software which can be highly automated saving me time and effort. This sits well with my lightweight philosophy. The only problem; I am still reluctant to pay the license cost as I would need the Pro license. That’s when I came across Hugin which is also a graphical front end for PTGui. It feels remarkably similar to PTGui in terms of operation and it appears to be just as capable with very similar features to the Pro version of PTGui. The image above was created from 4 images captured on a Panasonic GX1 which was tripod mounted. I tried the stitching in Photoshop and Panorama Tools but I could see problems. PTGui did a great job but so did Hugin with an almost identical result even down to how it determined the stitching – not surprising given they both have the same stitching engine. Now you might be thinking that I am about to repeat my past mistake of not paying for the best tool because of the cost. I don’t however know at this stage which is the best tool. And, Hugin is freeware so there is no cost other than in my time to learn and experiment with the package. I might still decide to invest in PTGui but so far Hugin is doing a great job and meeting all my requirements. If you are interested in shooting and stitching panoramic I think this is a great package that’s well worth investigating and it’s free.